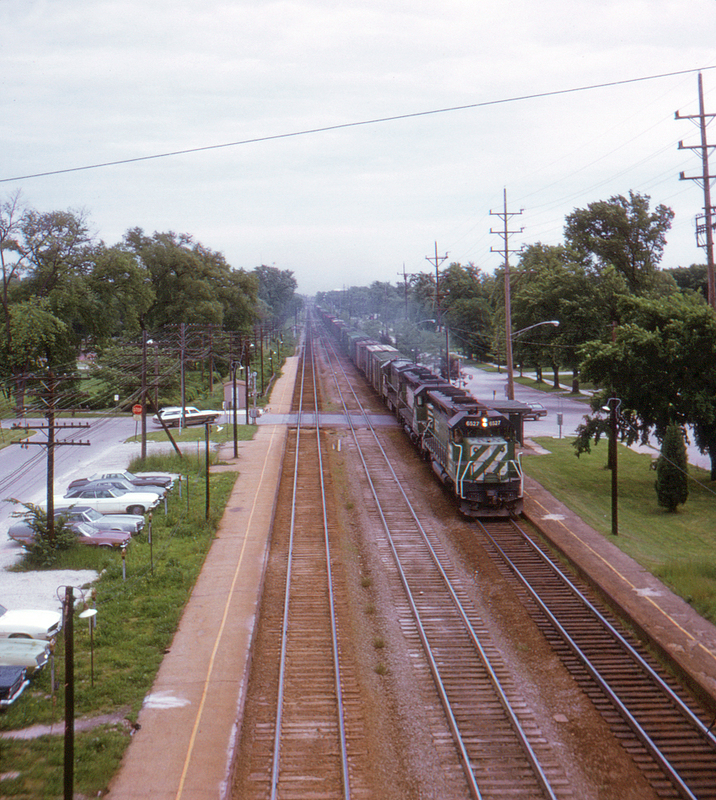 West Hinsdale, Illinois is one of the many commuter stops along the Chicago, Burlington & Quincy's famous three track "racetrack" between Chicago and Aurora. In addition to hosting a thriving commuter business and a few Amtrak trains, the line also sees very heavy freight traffic in and out of Cicero Yard. Apparently no inbound commuter run is due at the moment; otherwise this westbound freight would probably be using the center track. This view is looking east from the Kingery Highway (Illinois Route 83) bridge towards Chicago.